Best appliance repair in Old Farm District Oregon! All brands and models. 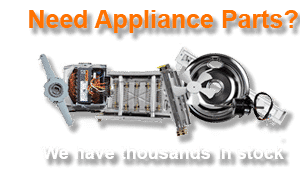 Our company does fast and affordable appliance repair in Old Farm District Oregon. If your kitchen appliance or washer/dryer is broken, we can help. Our team has years and years of experience with repairing different brands and models of such appliances. We can do refrigerator repair, washer repair, dryer repair, dishwasher repair, stove and range repair, oven repair, steam oven repair, microwave repair, freezer repair, ice maker repair, barbecue repair, pizza oven repair, patio heater repair and much more. In fact, we are factory trained and certified. That means our technicians are up to date on the latest in appliance technology. Our appliance repair in Old Farm District Oregon service specialists will be happy to set up a convenient service appointment. You will be provided with a FREE and accurate estimate and FREE service call with for repair. Our pricing is fair and reasonable. And you can be absolutely sure about the quality of our services. We do things right the first time so that your appliance is trouble free for a long time. Our techniques are not only very professional, but they are also very respectful and ready to help. Your convenience and satisfaction are very important to us. Oregon Appliance Repair is a family owned and family managed company. We do appliance repair Old Farm District Oregon as well as the rest of Central Oregon. 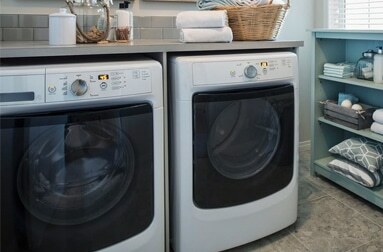 Our company has been doing kitchen appliance repair and washer and dryer repair for more than 30 years. Our service area in Deschutes County Oregon, includes Alfalfa Oregon, Awbrey Butte Oregon, Bend Oregon, Black Butte Ranch Oregon, Brothers Oregon, Cloverdale Oregon, Deschutes River Woods Oregon, Eagle Crest Resort Oregon, Hampton Oregon, La Pine Oregon, Millican Oregon, Old Farm District Oregon, Old Mill District Oregon, Orchard District Oregon, Redmond Oregon, Sisters Oregon, Sunriver Oregon, Terrebonne Oregon, Three Rivers Oregon and Tumalo Oregon. For appliance repair in Old Farm District Oregon just give us a call at 541-948-8835 or fill out our short contact form. Our home appliance repair & service team will immediately get to work. We will bring all the necessary tools and equipment with us. Our technician will usually start by thoroughly examining your appliance. He will take it apart, clean it and run tests on it. Our company has a lot of hands-on experience doing appliance repair in Old Farm District Oregon. In fact, we have been doing this for more than 30 years. All of our employees are factory trained and certified professionals. They know everything there is to know about appliance repair. We can handle the project of any size with any brand or model of household appliance. It does not matter if you have an older or a newer model, we will be able to diagnose it and find the best solution for you correctly. Customer satisfaction guaranteed. For appliance repair in Old Farm District Oregon make sure to call us at 541-948-8835 or fill out our short contact form. Our licensed technicians will be ready to fix your appliance in no time. We will make sure that you are delighted with our work. We can help you with any type of kitchen appliance repair, washer/dryer repair or commercial appliance repair. 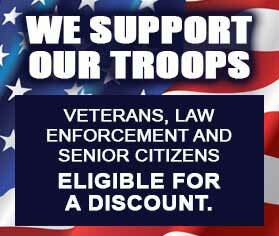 We serve Bend, Eugene, Crook County, Deschutes County, and Jefferson County. Our company does fast and affordable appliance repair in Old Farm District Oregon. If your kitchen appliance or washer/dryer is broken, we can help. Our team has years and years of experience with repairing different brands and models of such appliances.